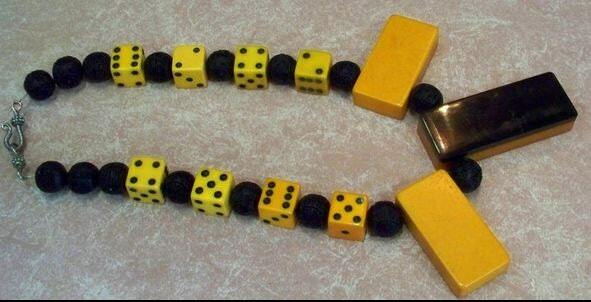 This excellent really funky and cool vintage Bakelite domino and dice necklace features a HUGE black and butterscotch laminated domino centerpiece. The domino has a hairline crack that only contributes to the character of this necklace. 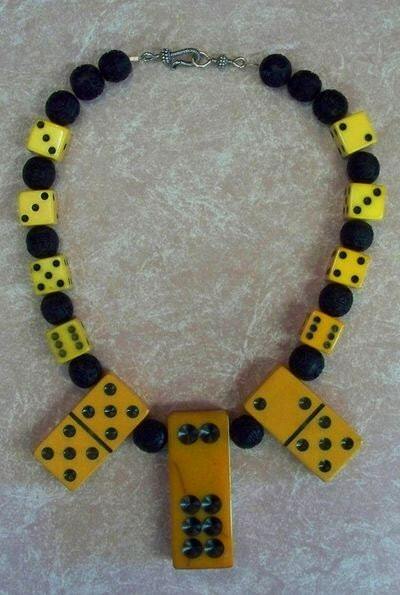 It is flanked on the side with other regular sized dominoes, bakelite dice and black Cinnabar carved beads. This necklace was recently professionally restrung to make it wearable. Very unusual domino, generously sized! You will never see another like this one of a kind necklace.